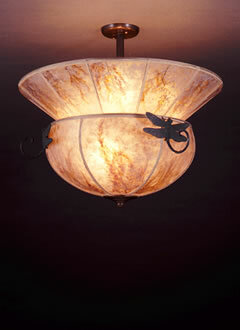 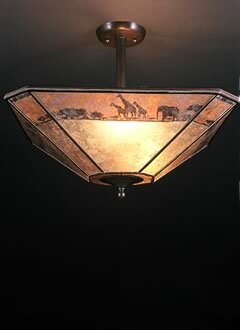 This African animal lamp shade by Sue Johnson is one of a number of african lamp shades that we have designed. 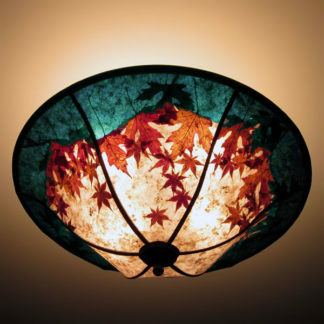 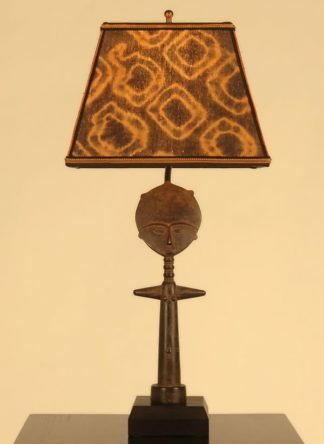 We carry quite a few one-of-a-kind lamps made from African carvings; mask lamps, elephant lamps, wedding stick lamps; and over the years have developed a variety of african lamp shades to use with them. 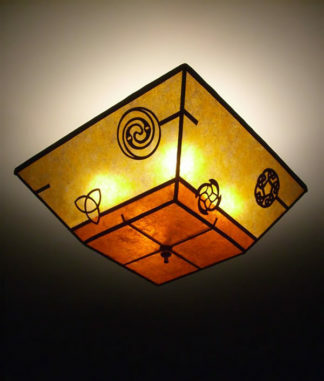 We have lamp shades with mask designs, animal designs and with Kuba cloth. 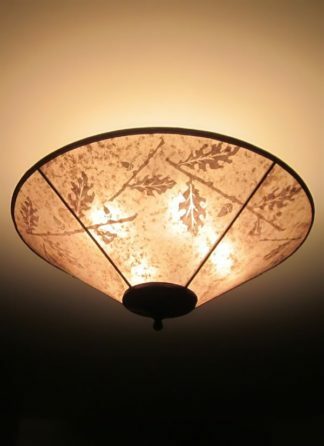 Please call for our current African light selection, we’ll send digital photos.